Britain and Ireland are a nation of bakers; our food is underpinned with great pies, pastries, cakes, puddings and bread. Tucked neatly and firmly in this list are the pastry goods and tantamount to these is–you guessed it–pastry. There is much talk about making pastry and how difficult it is. It isn't! Like many dishes, it takes a few guidelines and tips to help you on your way; the rest is about finding a recipe you like and going for it. This is my favorite recipe as it is the most versatile. It is a good pastry for handling and for rolling and creates a lovely taut crust with a melting texture. If you are a pastry novice, then I suggest you try this one for starters. It is the one I return to time after time. Sometimes a recipe calls for sweet or rich shortcrust pastry, especially for desserts and sweet pies. A rich shortcrust pastry recipe is similar to basic shortcrust but has an egg and sugar added to it. This pastry is also known as pate sucrée. Though it may at first seem a little sticky, rich shortcrust pastry is easy to handle. But as with any pastry recipe, resting is the key to success, as once it's rested in the refrigerator, the pastry will keep its shape while being cooked. You can't go wrong with traditional, old fashioned apple pie. The delicious shortcrust makes for a delicate and buttery base. It's sure to please everyone on your guest list! Steak and Kidney Pie is a British classic! It's warm and hearty, and the shortcrust adds a beautiful buttery flavor, making this pie a pie. This chicken pie is very similar to beef and kidney pie, except it substitutes chicken, leeks and mushrooms for the filling. It's warm and comforting, making it the perfect hearty meal for a cold winter night! Lemon Meringue Pie is sweet and tart and the filling is quick and easy to make. 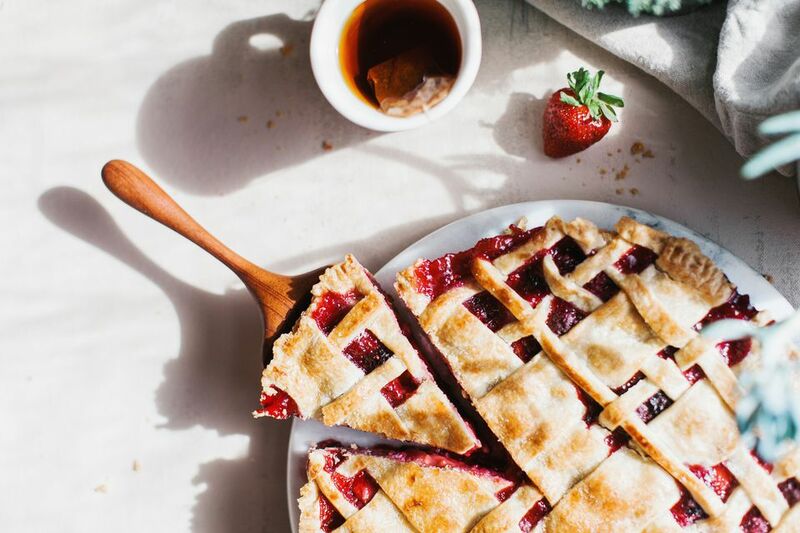 Use homemade shortcrust instead of store bought to take this pie to the next level! Mince pies are a traditional part of a British Christmas. Homemade mincemeat and shortcrust make these pies a delicious home cooked treat. A tasty and tender shortcrust dough is filled with delicious savory combination of meats and vegetables. It is the perfect lunchbox recipe! Sweet apples and savory and creamy cheese are a beautiful combination in this delicious pie. This recipe also uses maple syrup as a natural sweetener. Treacle is the perfect addition to afternoon tea or dessert after Sunday Lunch. It's sweet and rich, so a small slice goes a long way! This delicate, yet rich egg tart tastes amazing along with your afternoon tea. It's easy to whip together and refrigerates easily! 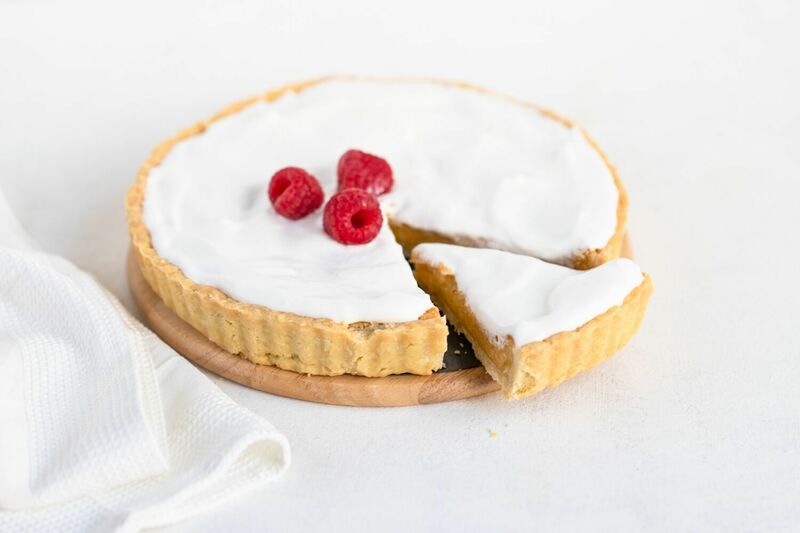 Fresh and tart raspberries and crunchy almonds adorn the top of this delicious, traditional tart. It also goes beautifully with afternoon tea or as a dessert. Beef and Guinness pie is full of savory flavors and rich Guinness beer. It will warm you up on a cold winter evening, or any rainy day. These savory pork pies are the perfect addition to a picnic lunch or just your daily lunch box. They are handheld and can be enjoyed hot or cold. Venison may sound intimidating, but it's super easy to make and is so rich and delicious in this pie recipe. Bilberries are a classic British berry that are often mistaken for a blueberry. They are smaller and firmer and have less water content, so they make for a perfect pie filling!